Tom Gulbransen serves as Project Manager for the construction and operations of cyberinfrastructure (CI) and ecological data products of NEONscience.org. Gulbransen helped organize NEON’s CI Integrated Product Teams (IPT) of system developers, field samplers, Data Scientists, and Project Managers. He helped establish Agile communication methods selectively. Gulbransen ensured CI progress and status were reflected accurately in Earned Value Management metrics. NEON is a research platform designed to study the biosphere at regional and continental scales to address grand challenges in ecology. NEON’s CI staff and technology empower the “shared-use” research platform of field-deployed instrumented towers and sensor arrays, sentinel measurements, specimen collection protocols, remote sensing capabilities, 5 data processing pipelines, and Data Portal facilities for data discovery, analysis, modeling, visualization, and forecasting. Gulbransen has been a principal in Battelle’s Environmental Informatics practice since its formation in 1985. 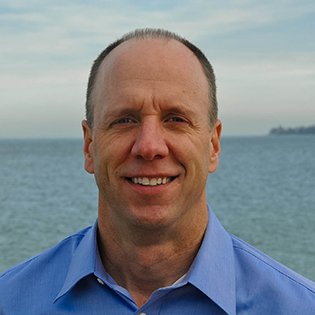 He has conducted studies of coastal ecosystems such as NY Harbor, developed environmental decision support software such as semantic interfaces to databases, and managed large-scale projects such as the Deepwater Horizon response. His pro bono efforts include federal advisory committees about CI, and regional environmental regulatory bodies. His degrees are in environmental studies and quantitative methods. To characterize and quantify how our nation’s ecosystems are changing, National Ecological Observatory Network’s (NEON) leadership established project management methods to communicate and govern Operations across its 81 sites, in 20 regions, performing instrumented and observational sampling, to publish 177 data products. This session highlights project management practices we find to be effective when juggling competing needs of customers, fieldwork, EPO, and cyberinfrastructure.